This salad is a mixture of so many tastes and textures it is like a party in your mouth! I love combining different types of flavors in my cookery as it makes every bite interesting. In this recipe you have spicy arugula, salty feta, sweet cranberries, tart apple, and the sweet and sour dressing. As for the textures you have the crisp apple, creamy feta, chewy dried cranberries and crunchy walnuts. Eating is an experience for all of your senses and this recipe is a sensory delight. For a salad you would be surprised by its depth of flavor. It is also just really delicious! Arugula is one of my all time favorite greens. I use it often in salads even cook with it in my Arugula and Feta Omelet. 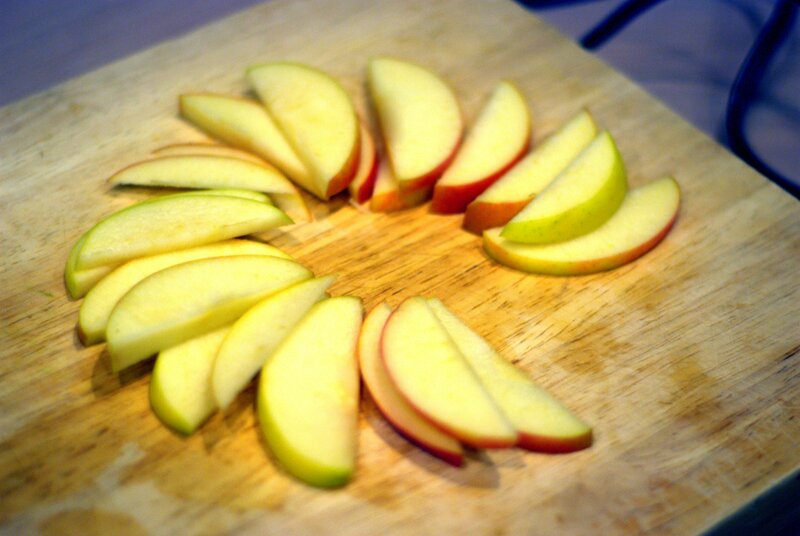 It is rich in vitamin C and low in calories. I personally think the best part is its spicy flavor. 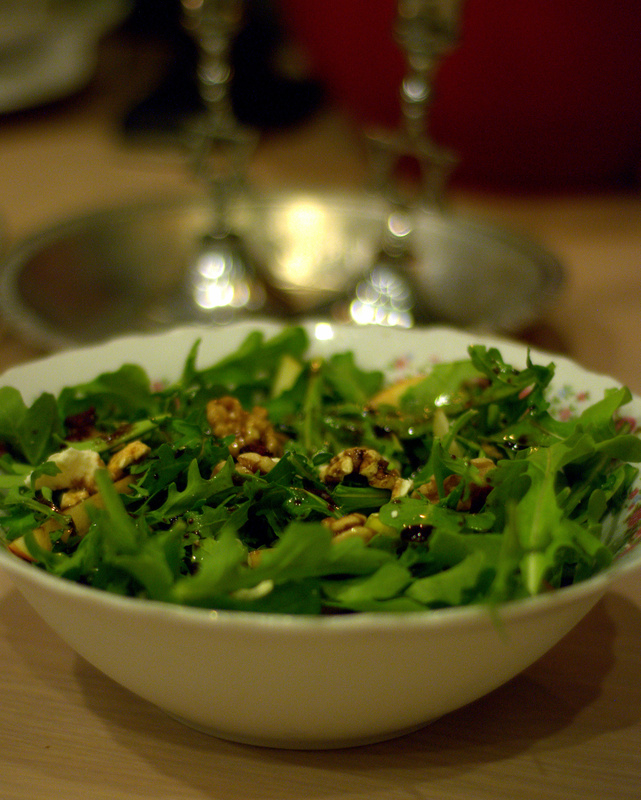 Nowadays it is easy to find pre-washed packages of arugula to make a quick, easy and tasty salads. Of course you do not have to buy the arugula that is already washed. I just think that it is a HUGE time saver to have that step already done for you. One step I do not recommend skipping is toasting the walnuts. It only takes a few minutes and trust me when I tell you, IT IS WELL WORTH IT. This salad can be a lovely main meal or first course. I have made this for guests and have always gotten rave reviews. The dressing is one that I use for many salads and not just this one. It is that good. 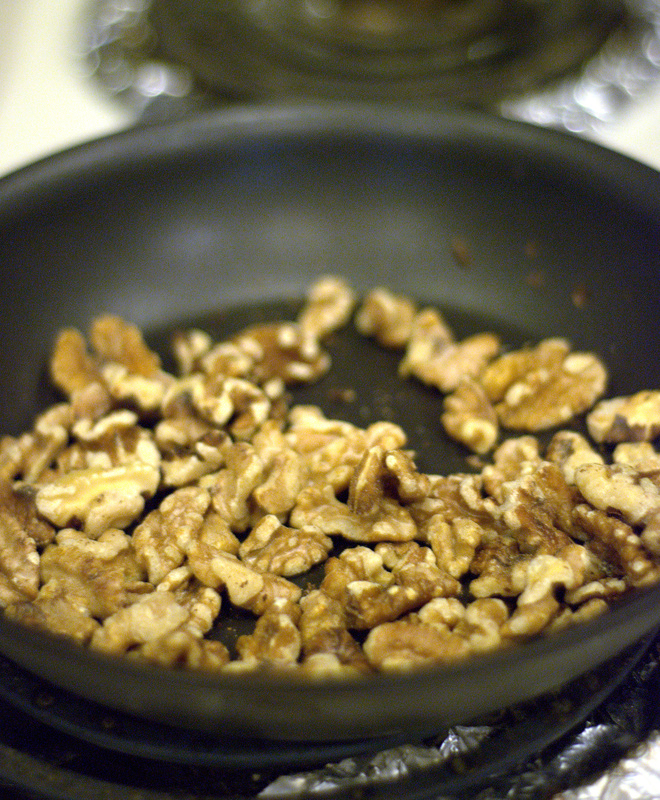 Toast the walnuts in a dry skillet over low heat until fragrant and lightly browned, about 5 to 7 minutes. 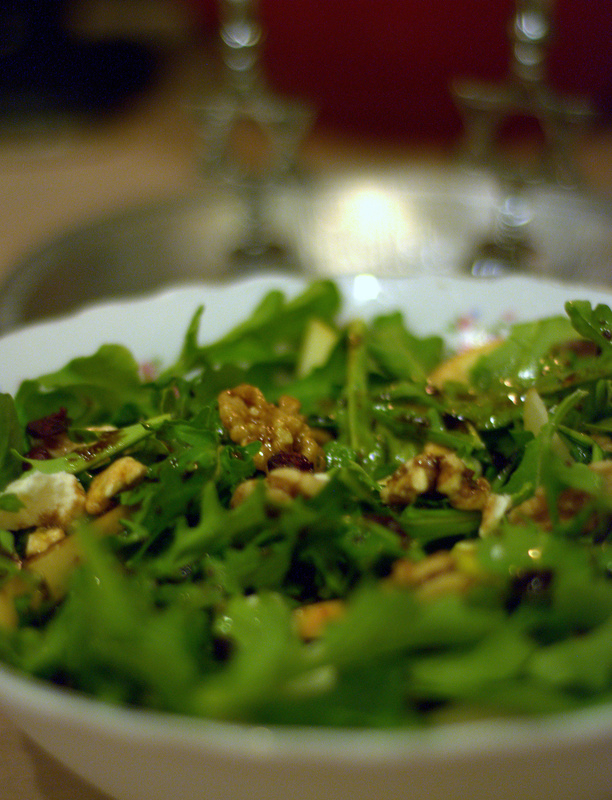 In a large bowl add the arugula, dried cranberries, feta, sliced apples and cooled walnuts. In a separate bowl, whisk together the vinegar, honey, salt and pepper. 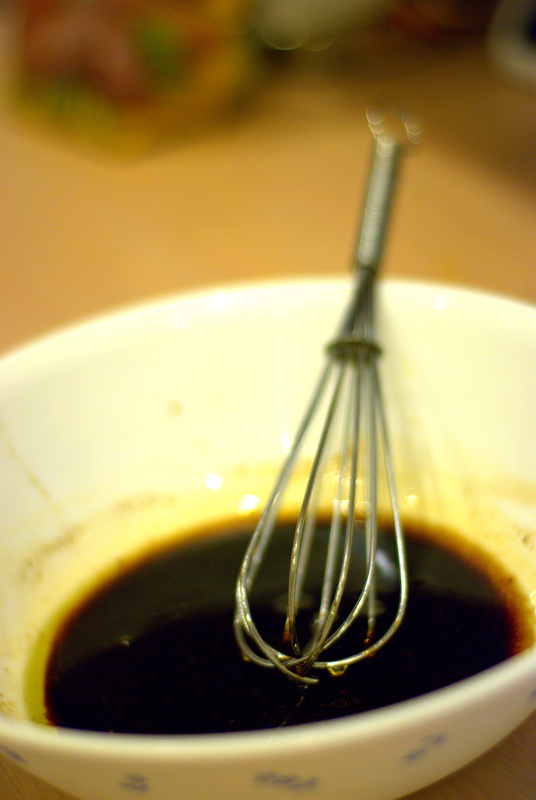 Add the oil in a slow stream, whisking until well combined. Toss the dressing with the salad right before serving. we make a similar salad, but with gorgonzola and pecans…the cheese and nuts are a great combo!